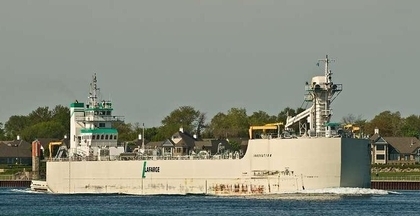 Built in 1976, by Mangone Shipbuilding of Houston, Texas (hull #120) as the Musketeer Fury for the Bernhard Hansen and Company of Norway. 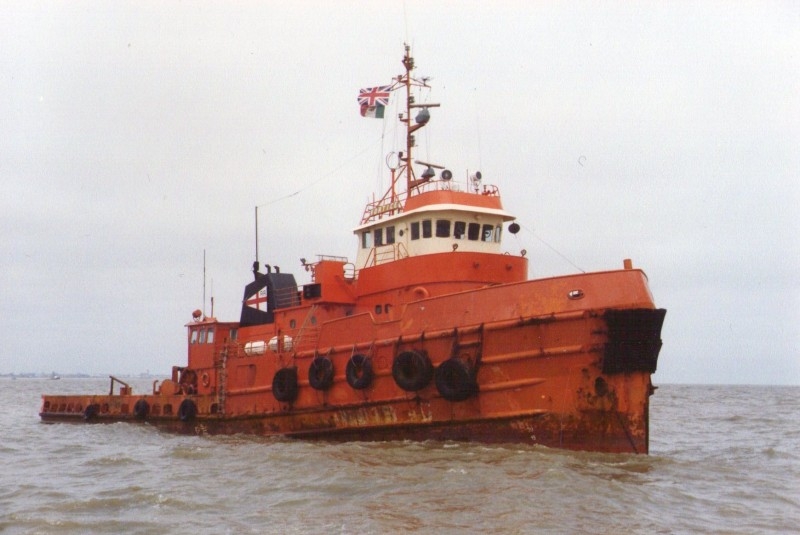 In 1978, the tug was sold. 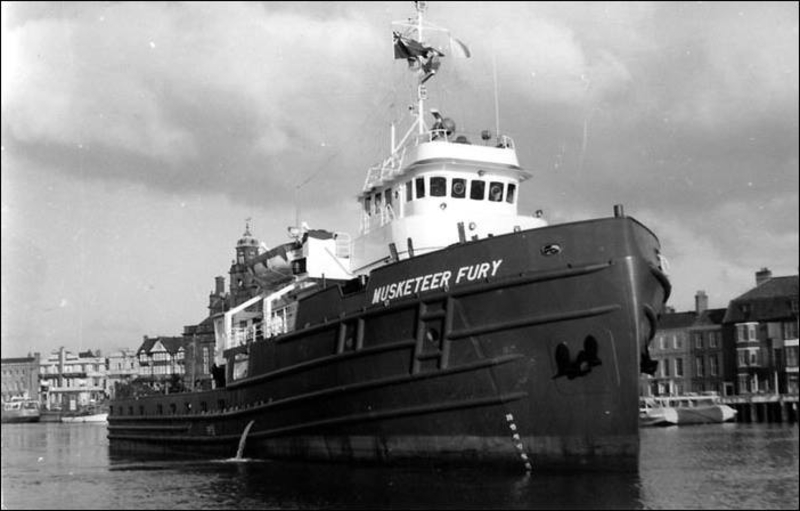 Where she was renamed as the Tender Panther. 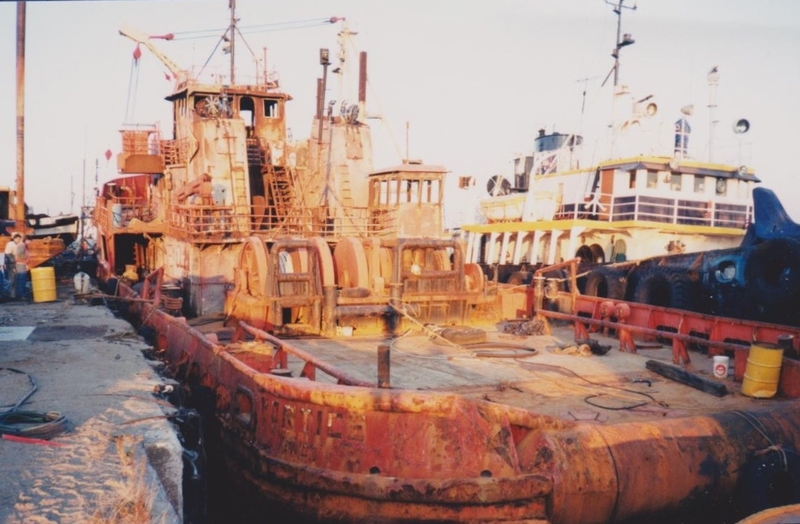 In 1979, the tug was sold. Where she was renamed as the Margarita. 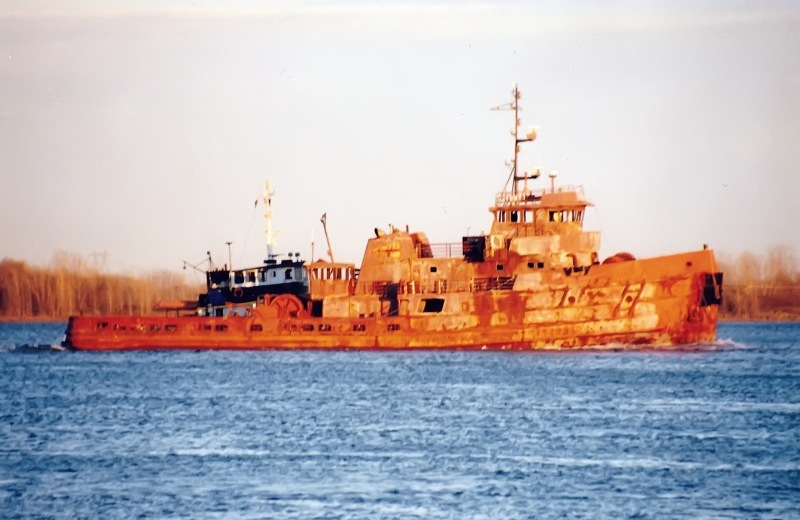 In 1983, the tug was sold. Where she was renamed as the Vortice. 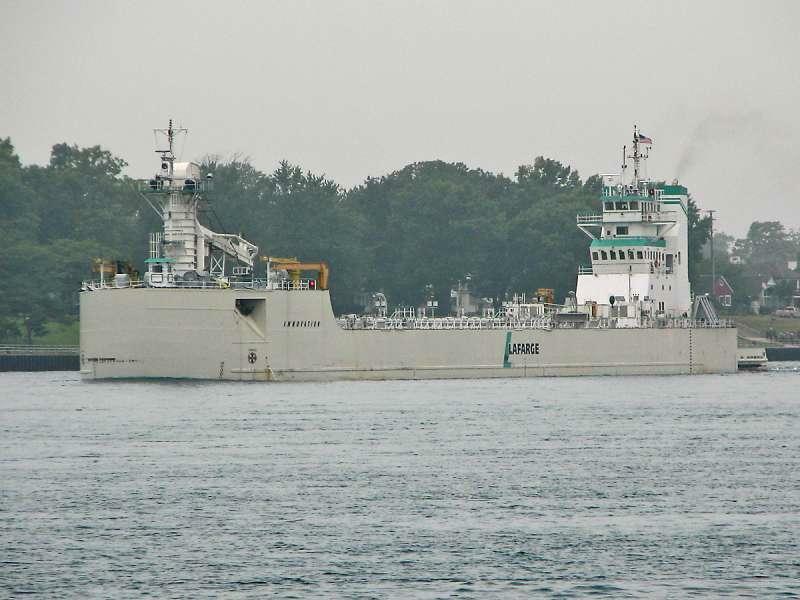 However in 1993, the Vortice suffered a fire off the Azores in the Atlantic Ocean. 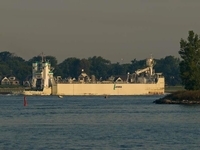 The tug was laid up in Trieste, Italy. 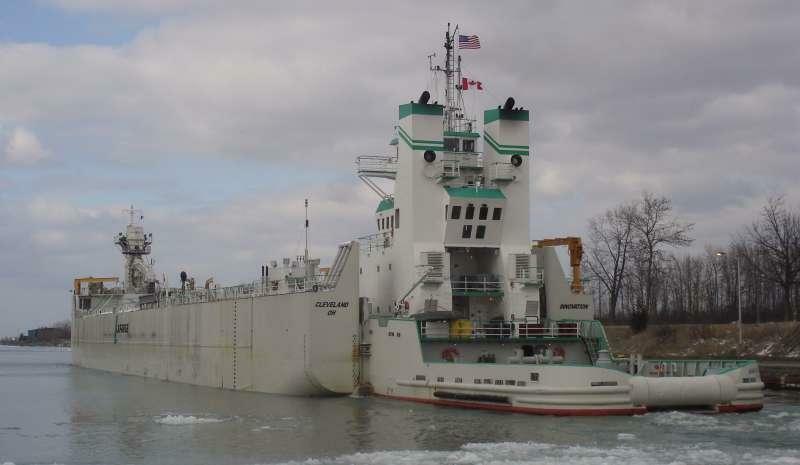 In 1996, McKeil Marine of Hamilton, Ontario, Canada. Acquired the burned-out hulk. 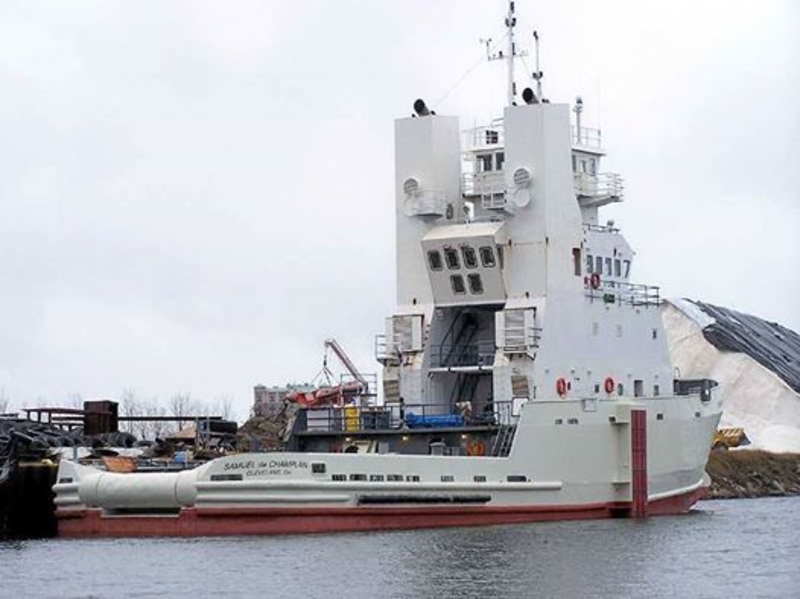 The company towed the tug across the Atlantic Ocean to McKeil Marine's yard in Hamilton, Ontario, Canada on the banks of Lake Ontario. 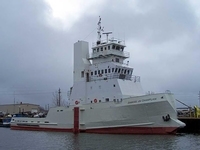 In 1999, she was acquired by Seaforce Marine Incorporated of Norfolk, Virginia. 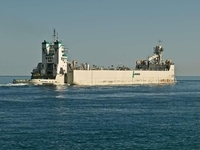 Where she was renamed as the Norfolk. 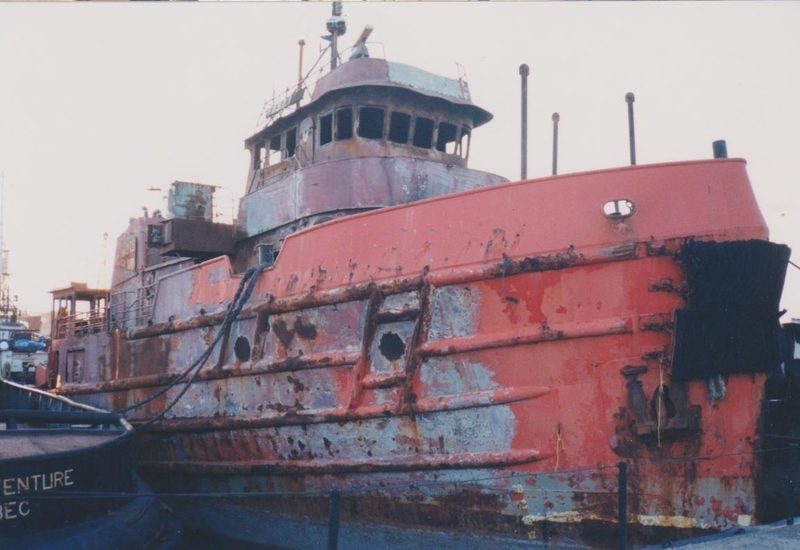 The tug was completely rebuilt at Norfolk, Virginia. 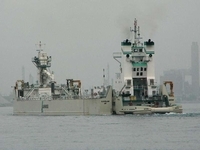 However, the tug never saw active service for Seaforce Marine Incorporated. 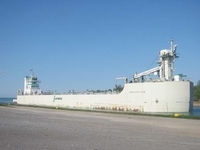 In 2006, the tug was acquired by LaFarge North America Incorporated of Chicago, Illinois. 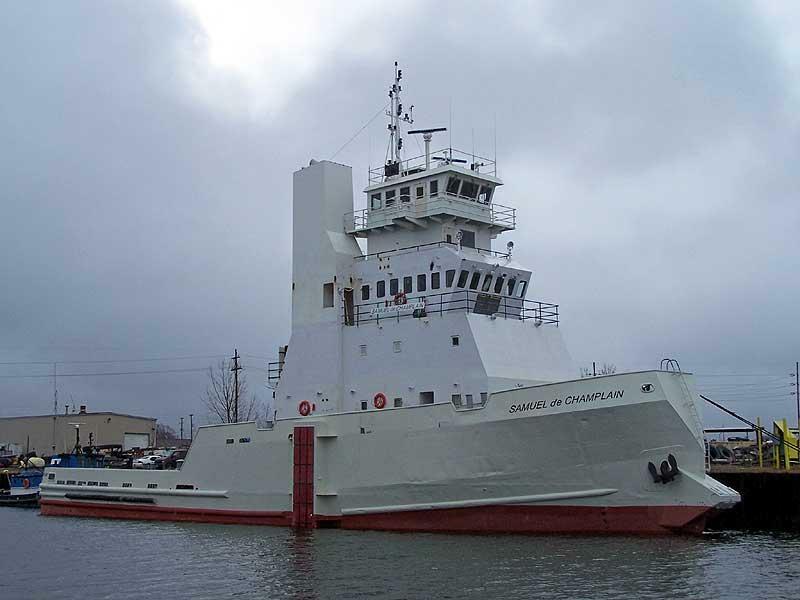 Where she was renamed as the Samuel De Champlain. 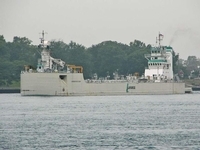 However, manning and operation of the vessel was contracted to Andire Incorporated of of Muskegon, Michigan. 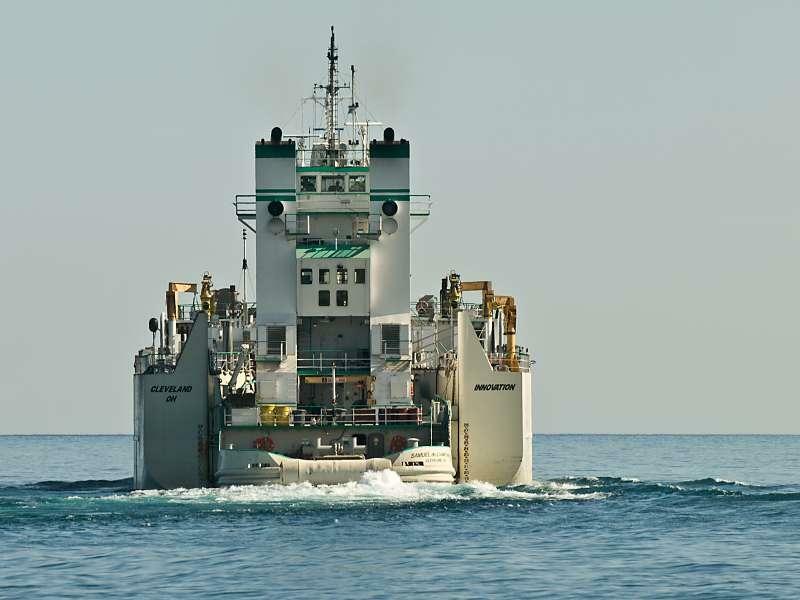 The tug was modified with a Bludworth coupler system, by the Manitowoc Marine Group of Manitowoc, Wisconsin. 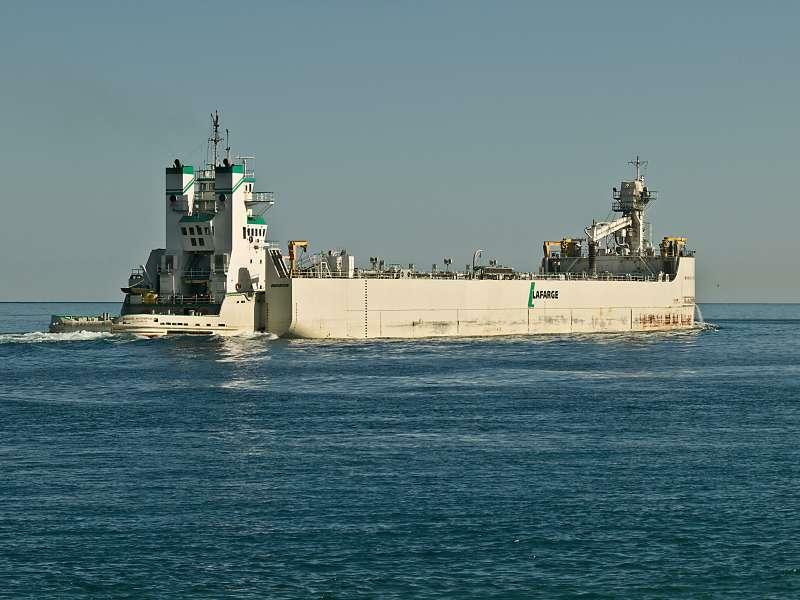 She was "married" to the 460(ft) cement barge. 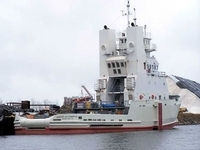 The Innovation which was built in 1996, by Bay Shipbuilding of Sturgeon Bay, Wisconsin (hull #740). 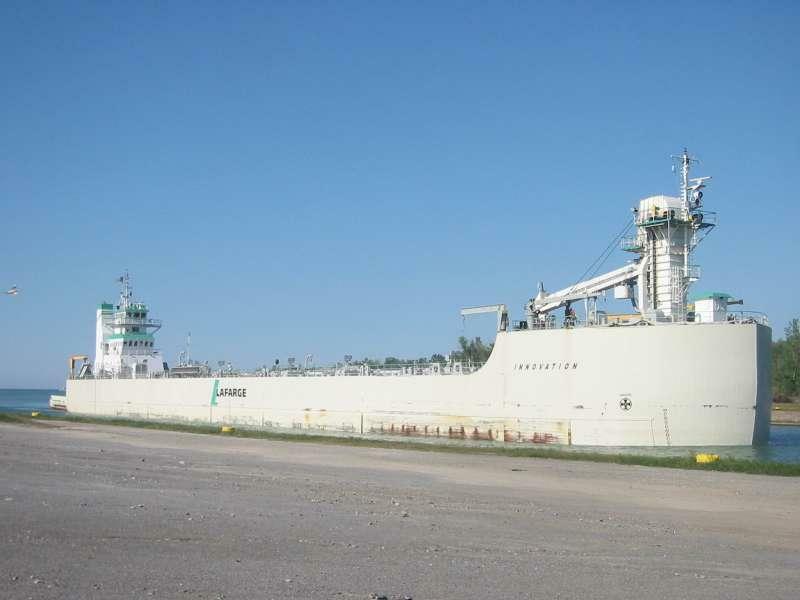 She has , a capacity of 18,305 short tons of cement at 80 lbs/ft, and 19,449 short tons of cement at 85 lbs/ft. 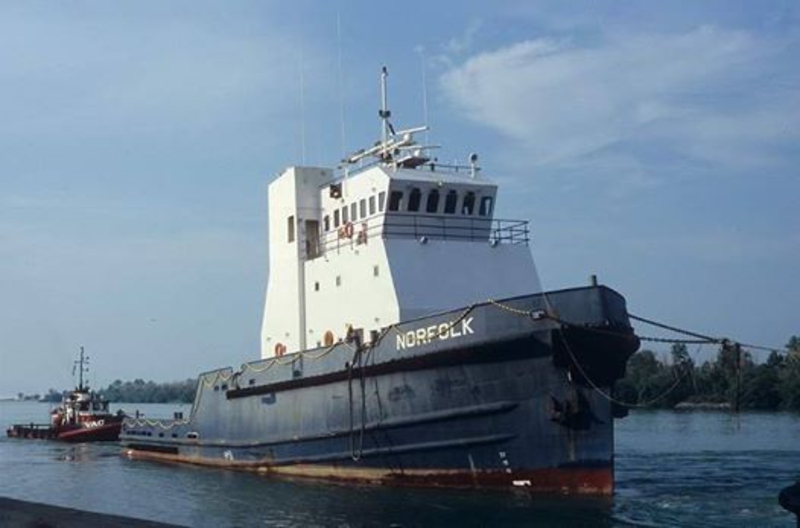 The tug is powered by two EMD 645 ES Turbocharged 20 cylinder diesel engines with Falk 3535 2MV reduction gears turning via 38(ft) by 3.44(in) shafts, two four bladed 10(ft) 10(in) controllable pitch OB propellers with a maximum pitch ahead of 12(ft)5(in) for a rated 7,200 horsepower. 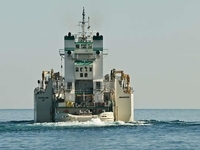 Her electrical service is provided by two 150 kw generators driven by GM 871 engines, with one GM 871 Emergency Generator. 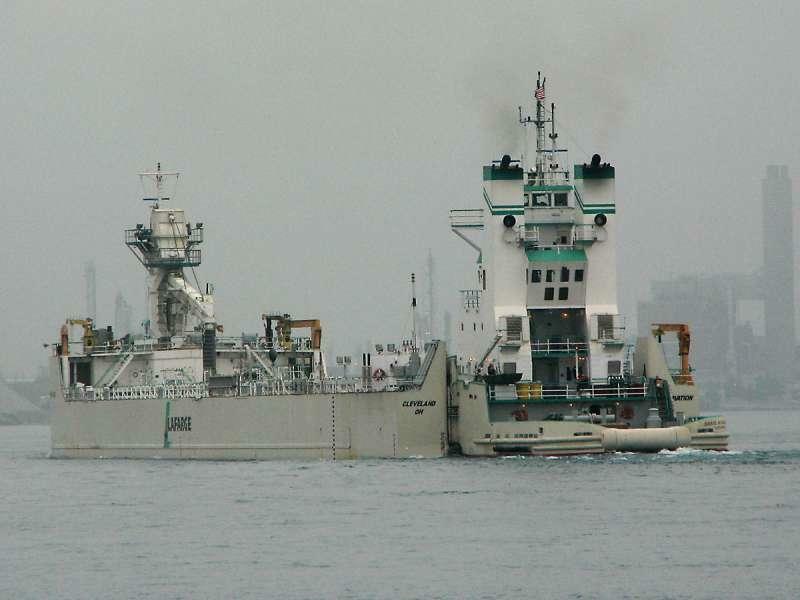 The tug's capacities are 129,568 gallons of fuel oil, 6,545 gallons of lube oil, 1,377 gallons of waste oil and 13,890 gallons of potable water supplemented by a Alfa Laval JWP-16-C40 watermaker. 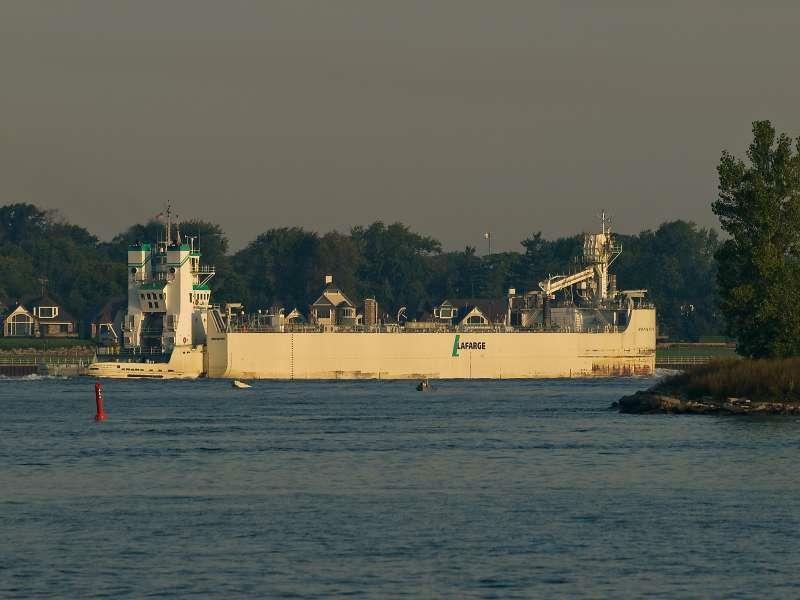 The tug's emergency towing gear consists of 1000(ft) of 12(in) eight braided nylon line with a 150(ft) connection to 435(ft) of 2(in) galvanized wire. 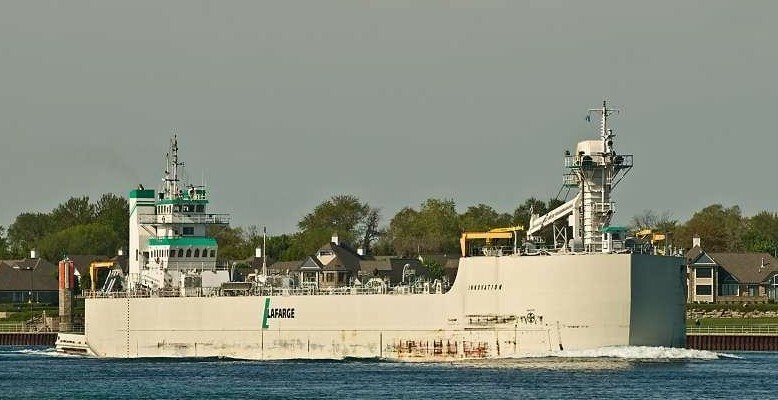 Pictured as: the Vortice Photo by: Stephen S.